I’m doing things like watching TV and running again, which means that grades must have been due Wednesday (fact). How long will it last? In the time that I’ve been, uh, not blogging, we’ve gone through a unit on slope. Our individual quiz is tomorrow, so we’ve been preparing with a group quiz (Wednesday) and today with revisions to the group quiz. We paired students who spoke English with students who spoke more English and had them translate vocabulary words and then talk about the problems together. Mixed reviews, since this is the first time I’ve tried the structure (curriculum partner was able to try it last cycle; I was out of town for PD the day we tried it). There were some good discussions and I think kiddos did learn. 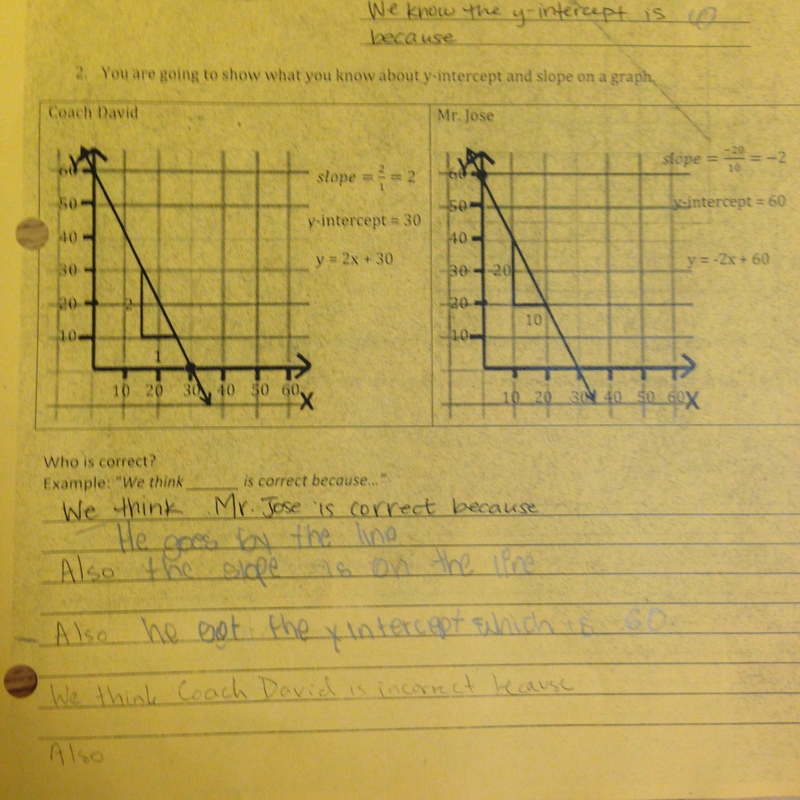 The photo above is from a student who, after seeing the sentence frames, said “I only have one answer,” and then asked about the other answers. I’ll take it.